How are you doing this fine weekend? In the U.S., this weekend is a particularly special one, with Memorial Day coming up on Monday. The weekend is often spent around loved ones..relaxing by the pool, hanging out at a barbecue or at a service of remembrance. Or all three (and more), at some point. One thing's for sure, though. The three-day weekend is best with a cold, delicious beer in one's hand. Can you imagine Memorial Day celebrations without it? Yeah, me neither. Today at MNtR, I'm very pleased to welcome a guest who is an expert at beer: she's one of the masterminds behind Wolverine State Brewing Company in Ann Arbor, Michigan. She's also the author of the Brewing Passion series, which chronicles tales of hot lovin' in the cool biz of beer brewing. 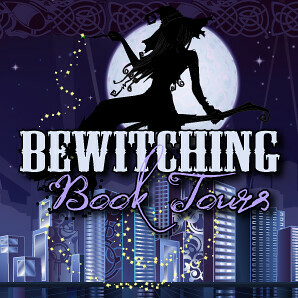 Today, she chats for a bit about her industry, her books, and of course, the liquid gold itself. MNtR: Welcome, Ms. Crowe! I'm curious. You've noted in the past that you are the marketing director/owner/Beer Wench for Wolverine State Brewing Company. What brought you into the business of beer brewing? Liz Crowe: Marketing, or more specifically my ability at same. I have a degree in English but have worked in public relations, marketing, fundraising and promotions my entire working life. I spent 8 years as an ex-pat trailing spouse (bless him) between careers and while my kids were at ages where they needed me (and made me completely insane). So we schlepped around between Hiroshima, Japan, Istanbul, Turkey (where all sorts of shenanigans nearly cost me a marriage but that’s a whole ‘nother story isn’t it?) and finally to London, England. When we returned to Ann Arbor, I picked up where I left off with my real estate license, making money even in a down market. Realtors are the original guerilla marketers IF they know what they are doing. And I did. So one of the founders (I have 2 male biz partners…it’s inspiring) knows me as a neighbor and from my Realtor rep and when he and his partner decided to make the business “for real” and not just a football season gimmick (“Wolverine Beer” in Ann Arbor sells itself for exactly 2.5 months a year) they did their research and realized that a “marketing person” handling all aspects of sales, marketing, promotion and distributor relations was crucial. I’m told I was the only one they spoke to about this. I think they are stroking my ego, but we have learned through our relationship that ego-stroking is crucial to my functional well-being so stroke away. Urban Legend someday I swear! I have used my abilities as writer (blogger) and the power of social networking to bring our company to a 12-months ahead of schedule point, with new fermentation capacity and a bottling line way earlier than planned. My “boys” as I call them, have taught me all I need to know about beer. I am so advanced in my journey in craft beer that I am going to start the cicerone-training program this summer. A “cicerone” is the equivalent of a wine sommelier—an expert in all aspects of the craft from off-flavors, brewing and fermentation technicalities, serving and storage protocols and food pairings an there are Very Few Females with the certification. MNtR: What made you decide to write a series involving beer-making? I’m having a bit of trouble translating to some readers/reviewers but I think I’m making headway. It’s different—no vamps, weres, shifters, cops, firemen, senators, cowboys, army men, or CEO’s just entrepreneurs, doing their thing, in a highly competitive and pretty damn interesting industry. MNtR: In your stories, the women involved in the industry are far and few between. What's the situation like for their real-life counterparts? LC: Exactly the same. I am working to get more women involved in just drinking beer much less the industry. I don’t mind the exclusivity right now—it gets me noticed and once I prove I know my lagers from my ales (among other things…) I can hold a room full of beer dudes pretty captive. But ultimately, we are going to rule it. After all, women brewed the beer in the beginning of time. The whole thing got hijacked from us at some point but we are getting it back. Beer has taste, and women have better, more refined taste buds. It’s just a matter of time! MNtR: Lisa and Trent's story in The Rookie was hot (and deliciously cold ^_^), spicy fun. Any chance we'll see them together again? LC: Yep. As part of the Brewing Passion series, The Tap Room will be released September 30, 2011. It is a “choose your romance” format, where the reader will choose Erin’s fate, from among the many fully fabulous male options she has. Trent Franklin and Erin Brady are old friends (with benefits) from way back. He is the one who brings her in as marketing owner and while they share a few intense moments together, ultimately, once he meets Lisa he is all hers. Lisa plays an important role helping Erin shape her destiny as a good friend too. “Specific Gravity” is a short story that will release right after The Tap Room novella highlighting how Trent and Lisa’s connection is threatened by his inability to commit …. But how he finally sees the light! They are fun, those two….I’m glad you like their first encounter! MNtR: Lastly, inquiring minds want to know, from a beer expert… what's the most bizarre ingredient you've ever tasted in a beer? LC: Peanut butter and jelly. No lie. Right here in Michigan (the Great beer state!) at Short’s Brewing by my good buddy Joe Shorts! A close second is “Key lime” from the same brewery. 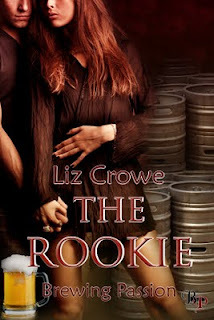 Stayed tuned for tomorrow here at MNtR....we'll have a giveaway of Liz Crowe's The Rookie, just in time for the unofficial kick-off of summer season.